We’re not even close to being done with winter, but I’m ready to start spring cleaning. Maybe it’s the fact that we all got some new Christmas outfits, or I just had to clean the attic up to fit the Christmas tree back in there, but I’m ready to do some cleaning out, throwing away, and giving away of some items. A few weeks ago I decided to tackle the downstairs den and organize some shelves by our TV. 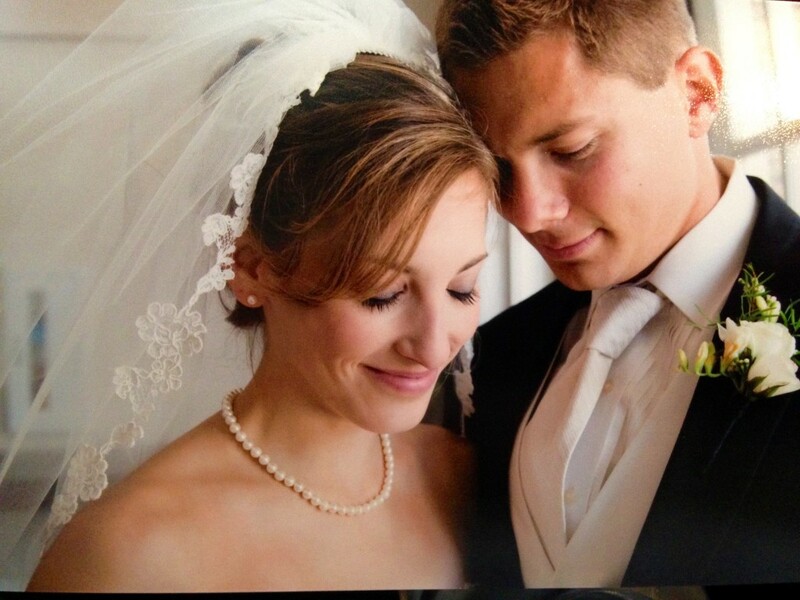 In the shelves, I keep all our wedding pictures, birthday cards, sweet notes from Matt and other little keepsakes. 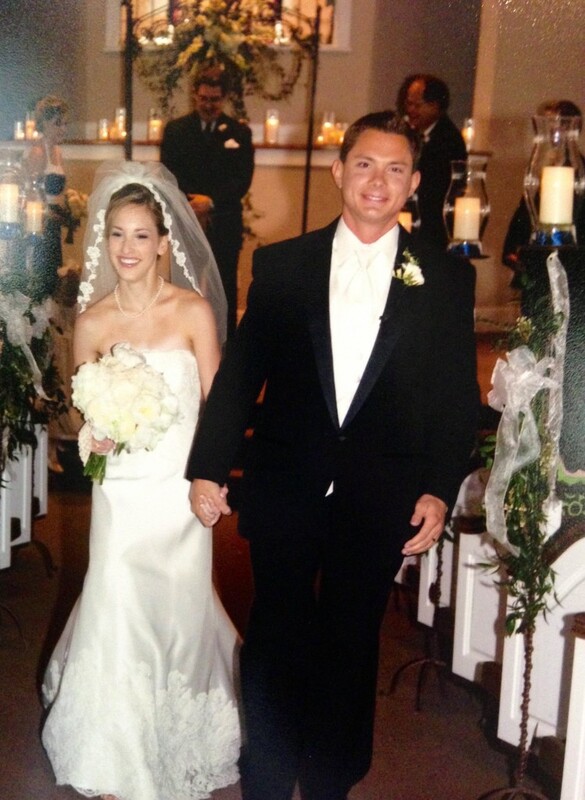 Walking down the aisle as husband and wife. 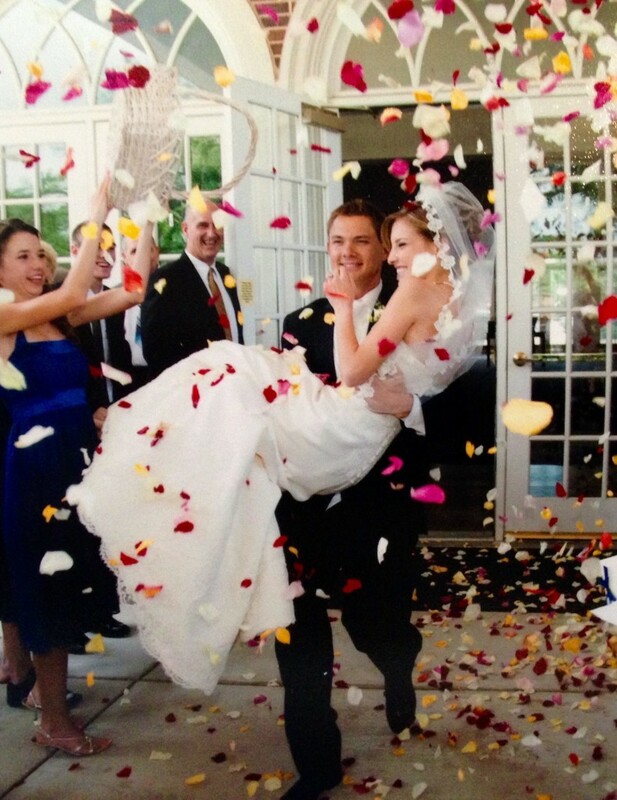 Can’t believe this was almost seven years ago! In another wedding card, I found this recipe for Morning Glory muffins from my dad’s coworker named Sandra Winfield. The recipe sounded delicious, so the next day I decided to whip these up. 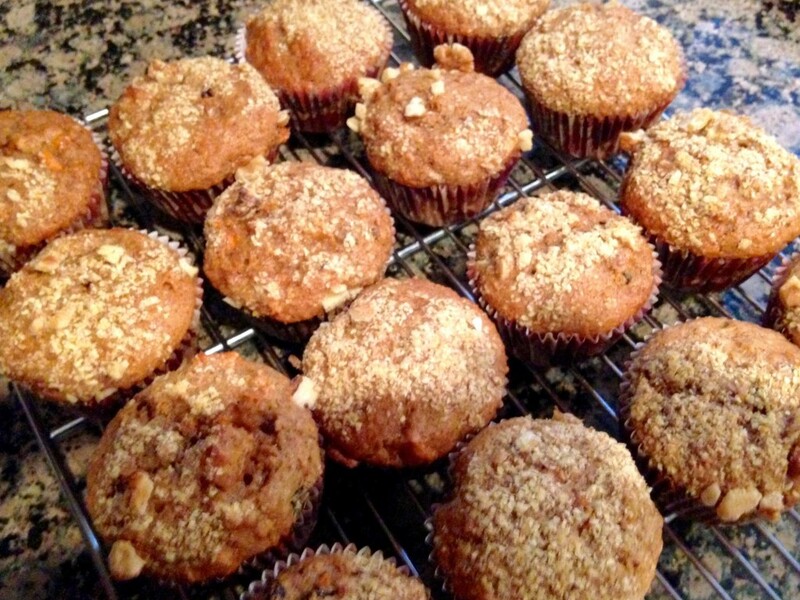 I’ve tried a bunch of quick breads and muffins over the years, and by far, this is my FAVORITE morning glory muffin recipe ever! 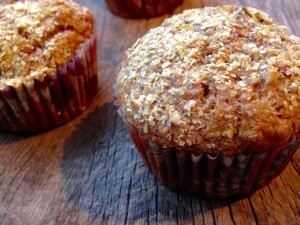 Not only is it the best of all the morning glory muffins, it will now be my go-to recipe for whenever I want a muffin!! They are that good. The apple butter is the secret ingredient. It makes the muffins light, flavorful, sweet and super moist. 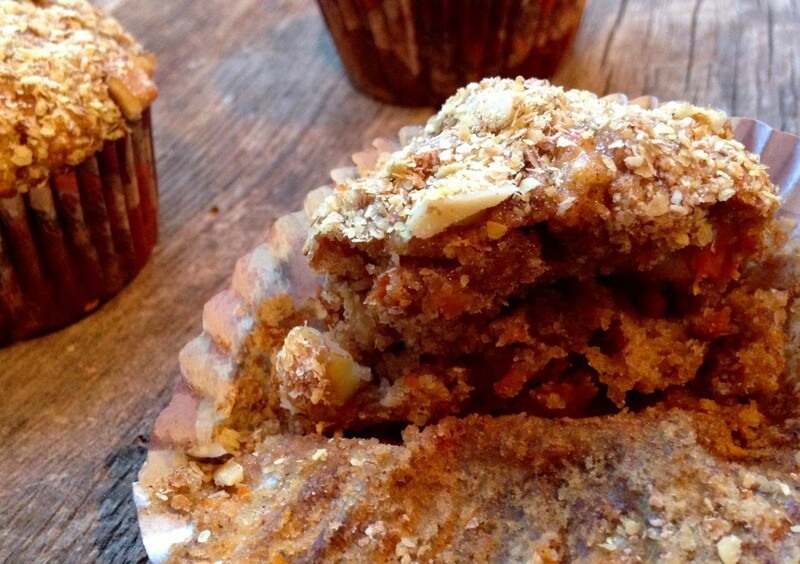 With two whole cups of carrots, an apple, whole wheat flour, walnuts, and wheat germ sprinkled on top, you’ve got a hearty and pretty healthy muffin at that. 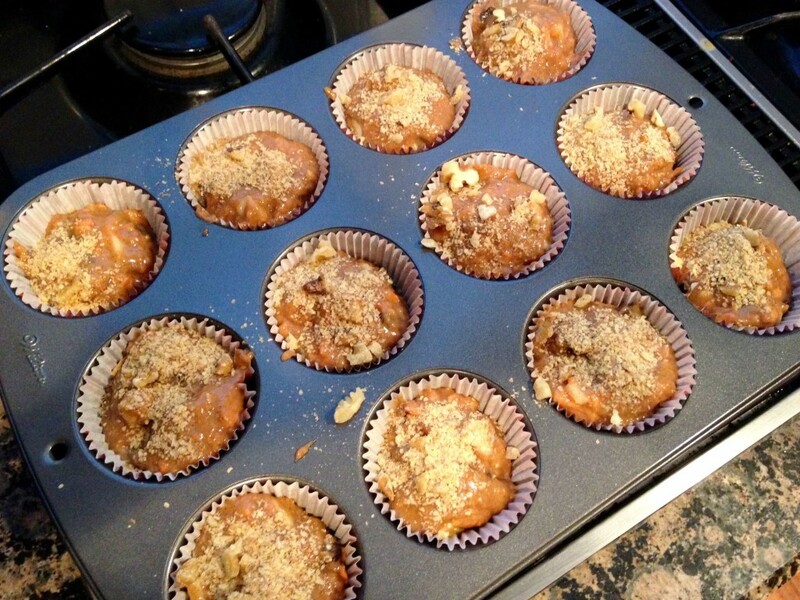 Sandra – thanks for sending over the recipe. We all loved these and will be making them again! So, next time you dread spring cleaning…. think of the positives. Like a treasure hunt, who knows what you may find. It may be cash, old photos, or even a new recipe to try! Enjoy. Preheat oven to 375 degrees F. Lightly oil 18 muffin cups or coat with nonstick spray. In a medium bowl, whisk together eggs, apple butter, oil and vanilla. In a large bowl, stir together flours, sugar, cinnamon, baking powder, baking soda and salt. Stir in the carrots, apples and raisins. 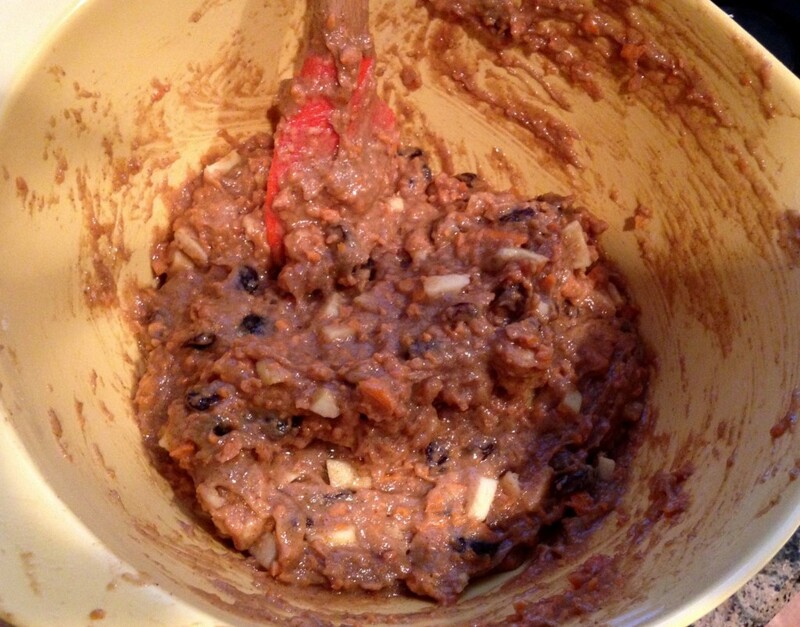 Stir in apple butter mixture and mix until just moistened. Spoon the batter into the prepared muffin cups, filling them about ¾ full. 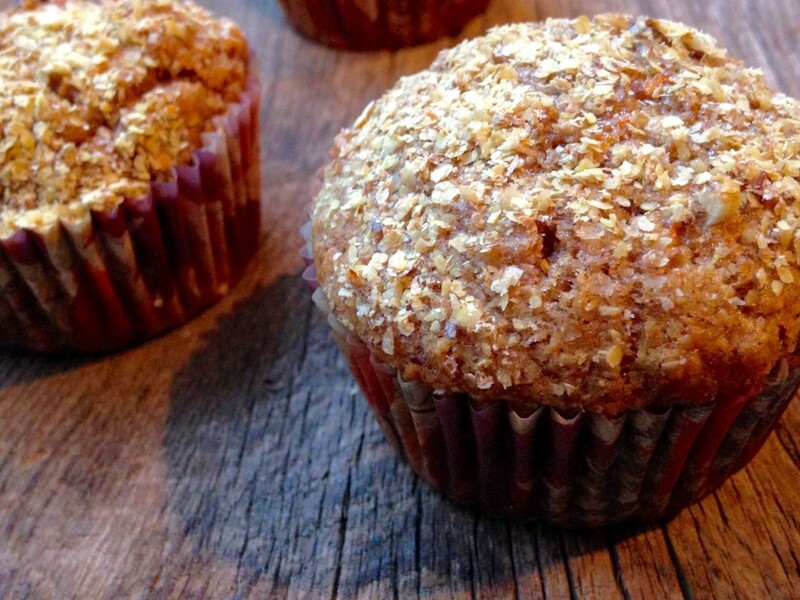 In a small bowl, combine walnuts and wheat germ; sprinkle over the muffin tops. Bake for 20 minutes, or until tops are golden and spring back when lightly pressed.